My head is spinning when I think of how a “Buck a Beer” took precedence over safe injection sites. To me it is discounting the massive opioid problem we have in every city. Look at the timeline of your brothers health problems and addictions. So why not continue his battle in a positive way. Help others who are fighting with this “disease” As I write this in Windsor, every single day tons of needles are found near parks where children play, and the alleys are filled with them. 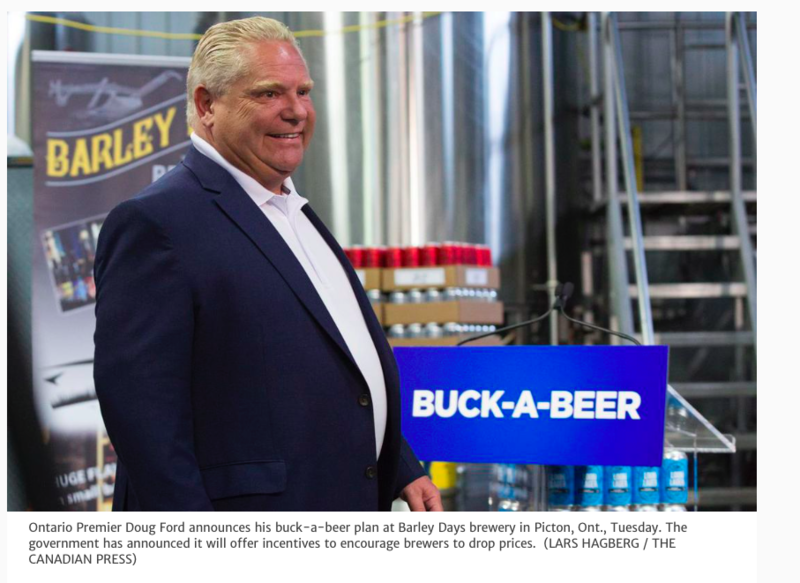 “Buck a Beer” makes a great headline – but is this why the residents of Ontario voted you in. When you think of how drugs destroyed your brothers life, you would think that you would have made it a TOP priority to get drugs off the streets. Drugs kill more people than guns. Read the Globe and mail article, 25 gun deaths!! Now lets compare the gun deaths to Opioid deaths. Ontario to REVIEW safe injection/overdose sites?? “We need to take a look at the evidence and understand what the experts are saying, so I want to hear that. The premier wants to hear that. He wants to know that continuing with the sites is going to be of benefit to the people of Ontario,” she said. Please explain why you have to review it. You have to understand what the experts are saying?” You want to benefit the people of Ontario by delaying a solution? What high paid “experts” will say anything different than what you can find on Google. Hospital staff, Doctors and Coroners have been telling the public for over 5 years. How many young kids have to be exposed to the drug paraphernalia in parks, school grounds and on the street. You want to make sure Programs your investing in have value? Your investing and protecting our next generation. 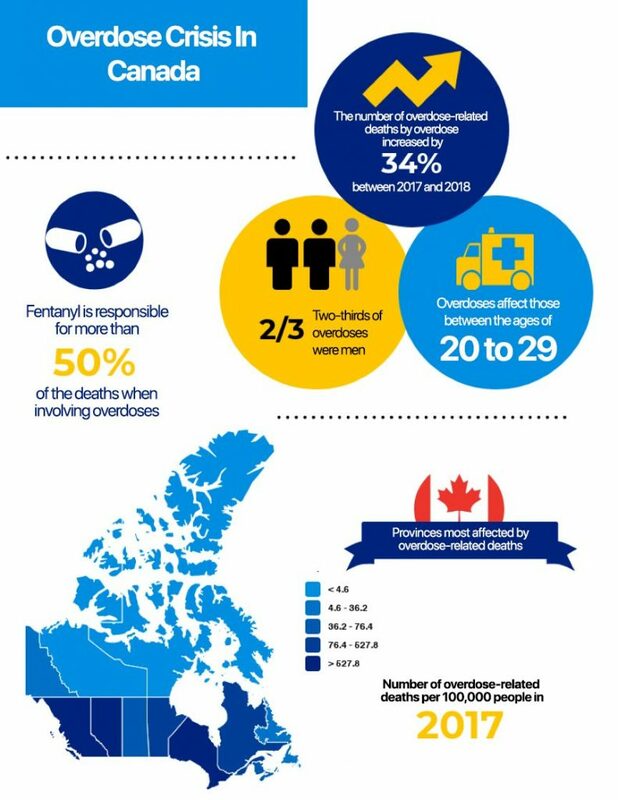 The Opioid problem is escalating every year, it is not going away. Why wouldn’t you fight for solutions? Dilkens added the increased staffing compliment will also help deal with people suffering from addiction and mental health issues. The $1.4 million proposal would create a mobile unit, with an initial focus on the downtown core. How do more police help deal with people suffering from addiction and mental health issues? Arresting people on the street does not help addiction and mental health issues. If this was given to the Downtown mission who deal with addicts and the homeless every day, we WOULD see a change in this city. If this $1.4 million was given to experienced drug counsellors who would work on the street to address the problem we would see a bigger result. Adding more police just to arrest them and take them off the street for a night is not the answer. Doug Ford, my sister was killed because of Fentanyl. An accidental overdose from a patch that she was prescribed by her family doctor in Richmond Hill. She should never have been prescribed it, and nothing happened to her doctor. But the street variety is a “loaded gun”. There are various groups in Windsor who are getting tired and frustrated with the lack of support they are getting locally and Provincially. Regular citizens volunteer to pick up needles. I volunteered with one of the groups and was shocked with what we found. Your own family was touched by tragedy. The stark reality that drugs had seeped into your family and what it did to your brother. Every SINGLE day, someones Brother, Mother, Father, Sister gets hooked on drugs. Opioids given to them by their doctors, which led them to the streets when the doctors would not give them any more. Drugs that are peddled to the less fortunate on the street, who have lost hope, or have no one to help them with their addiction. What about the devastated families who have to deal with a drug addict, and watching them self destruct. But “Buck a Beer” was a promise that you felt that you needed to deliver on? In closing – If I was a councillor or a representative of Ontario I would not be promoting Buck a Beer by labour day. The former first lady Betty Ford was instrumental in helping others. Former First Lady Betty Ford put a courageous new face on recovery when, at age 60, she openly sought treatment for addiction to alcohol and prescription medications. Her candor created a national dialogue and lifted the shame surrounding addiction, unlocking the door to recovery, especially among women. You could start something right here in Ontario by paving the way for solutions for our Opioid crisis – in memory of your brother. Keep his memory alive and help thousands of people with their addictions in Ontario.